Looking for a mix of river and beach side living? Oceans Grand is a quality condo option that provies easy access and brilliant views of both the Halifax River and the World's Most Famous Beach. Enjoy daily golf and many other fine amenities at this popular condo home. 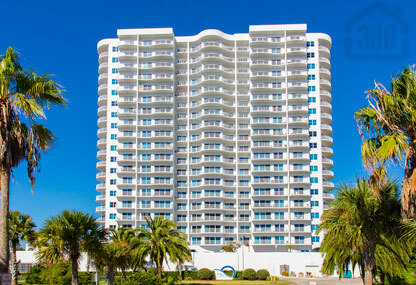 Search condos for sale at Oceans Grand, a condo building in Daytona Beach Shores, Florida. These listings are updated daily from the Daytona Beach MLS. If you would like more information on any of these condos for sale, just click the "Request More Information" button to speak with a local Realtor®. We can provide you with disclosures, past sales history, community information, and more. Whether buying or selling, call us at (386) 527-8577 for real estate assistance at Oceans Grand condo!